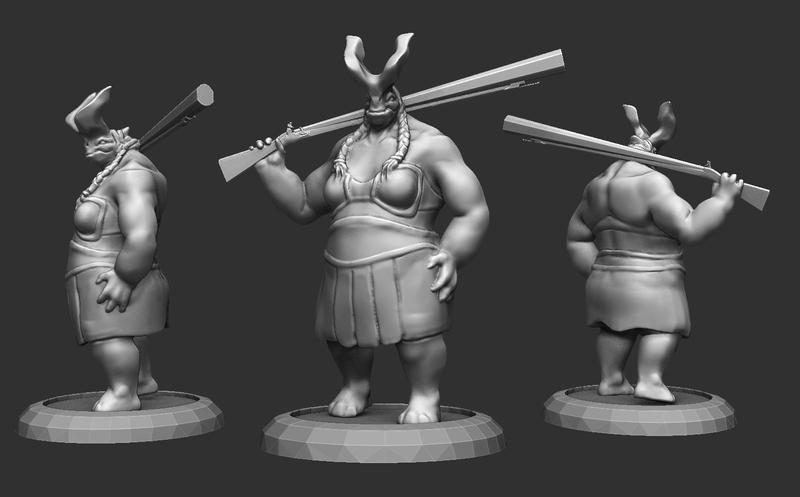 At last I can post up the 3d concept sculpt of the large and in charge female Rhorlan Two Horn. The largest of the Rhorlan race, towering over the smaller male One Horns. They are a decent shot and a threat in melee, overall a good all rounder. Overall I like the direction this sculpt is going in, but I feel the head still needs a lot of work as it can look a little too lizard / reptile like from certain angles.